Dr. Noel Healy’s research, teaching, and activism focus on responses to the climate crisis and normative dimensions of rapid climate change mitigation. His core work revolves around climate change politics, global climate governance, energy transformations, restrictive supply-side climate policy, energy justice, and the link between academic knowledge, political activism, and policymaking. Dr. Healy’s projects have secured over $173,000 in research grants and have spanned Ireland, the US, China, Germany, and Latin America. Current projects include investigating: (1) the impacts of fossil fuel resistance movements in confronting fossil fuel lock-in, (2) the socio-environmental impacts of unconventional natural gas extraction and open-pit coal mining (US/Colombia), and (3) “just transition” strategies for fossil-fuel-rich third-world countries. Dr. Healy was appointed to the editorial board of Energy Research and Social Sciences (2019-2021). Dr. Healy is also a Ludwig-Maximilian University (LMU) of Munich Rachel Carson Fellow. In 2018 he was awarded with a Salem State University Civic Engagement Hall of Fame award. Dr. Healy, originally from Ireland, first came to the US in 2005 to study at the Department of Environmental Science Policy and Management (ESPM) at UC Berkeley. 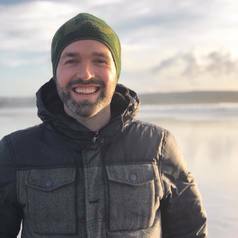 He received his PhD at the National University of Ireland, Galway in 2009 and is now an Associate Professor of Geography at Salem State University (SSU). In 2015 Dr. Healy acted as an observer to the 2015 United Nations Framework Convention on Climate Change (UNFCCC) talks in Bonn and at the UNFCCC COP21 Paris talks. Dr. Healy founded the SSU Fossil Fuel Divestment campaign and the SSU Faculty For Divestment group. A four-year campaign led SSU to commit to divest from fossil fuels in 2016. Dr. Healy stresses the urgent need to move away from depoliticized reformist green-economy actions to a more proactive and highly politicized focus on the modern fossil fuel economy. His research is published in journals such as Energy Policy, Energy Research and Social Science, Local Environment, Journal of Environmental Policy & Planning, Society and Natural Resources, Tourism Management, and Marine Policy. He is also published in newspapers such as The Guardian. Colombian national radio WRadio, and DeSmogBlog and The Times have reported on Dr. Healy's research.